Now I guess no need to say whats is vitamin because we all studied that in our school days, but just for a reminder “Whats Vitamin E?”It is a fat soluble vitamin. It can be found in many food sources like poultry eggs, almonds, wheat-gram oils, fish, mango, peanut and so on. 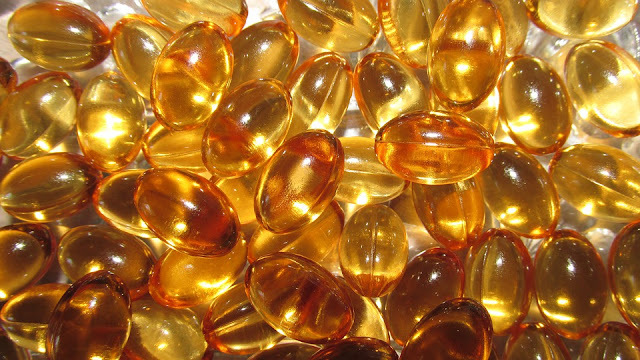 Vitamin E antioxidant and anti-inflammatory property is very beneficial for human body. It prevents diseases like cancer, cardiovascular disease etc. It also nourishes our skin and hair, so a balanced amount of Vitamin E is need for our health well-being. It is wonderful for treating dry skin, as it comes in oily form. If you find you too thick mix it with any night cream and apply that all over face. Leave that whole night and wash it off at morning.You can mix it with alovera gel and apply it at night to get a glowing soft skin.Vitamin E oil is very good for dry, chapped lips. You can use it alone or by mixing it with coconut oil. 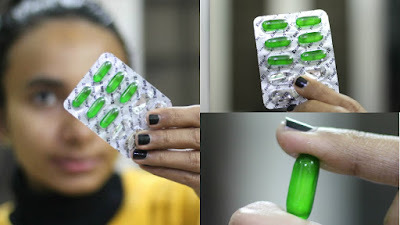 You may use vitamin E capsule for this purpose, just you need to cut it and squeeze the oil out. 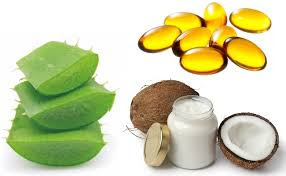 Over night application of vitamin E can reduce acne, as its having antioxidant properties. It will reduce acne after everyday usage. It also prevents the skin from damaging by harsh chemicals. It can be use as a very good face moisturizer, by applying it alone or by mixing with your regular moisturizer. Vitamin e lotion also can be use for this, which is easily available in drug stores. 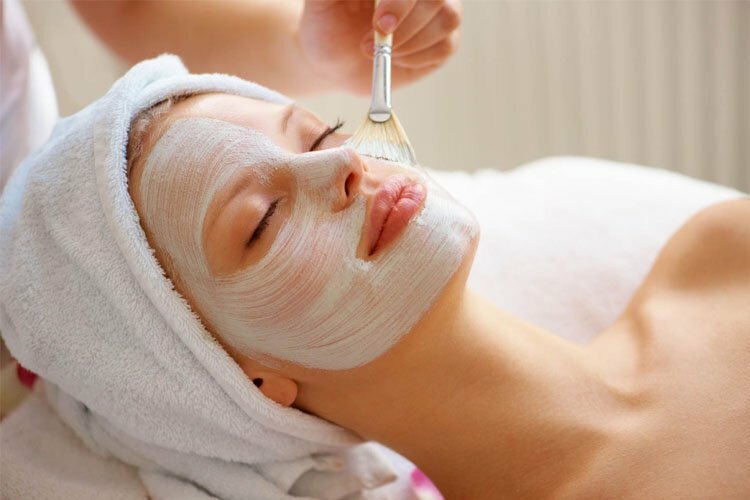 Mix 2 table-spoon of lemon juice and one spoon of vitamin E oil, apply it on face. After leaving it 30 mins, wash it off. Grind 2 slice of papaya and mix with 2 spoon of vitamin E oil, apply in on face. It will give enchanting skin. We can use the mixture of vitamin E oil and coconut oil over night on our face and wash it off in morning. Mix vitamin E with rose water and apply it on face for overnight. It will give clear rosy glow. Mix vitamin E oil with mashed banana, it will give fast skin whitening. So, by using this techniques you can get a skin which will be compliment by everyone. Also I will suggest you not only go for external use, eat foods which are best source of Vitamin E. But one caution check before using if you have Vitamin E allergy, then you must avoid it.